You won’t believe it but U.S. Navy legendary planes (F-4, F-8 and F-14) could fly with folded wings, asymmetric configurations. To save space aboard the deck of U.S. flattops, aircraft built for carrier operations can fold their wings making room for more planes. Obviously wings must be extended tbefore catapult launch. But what happens if the wings aren’t unfolded before take off? 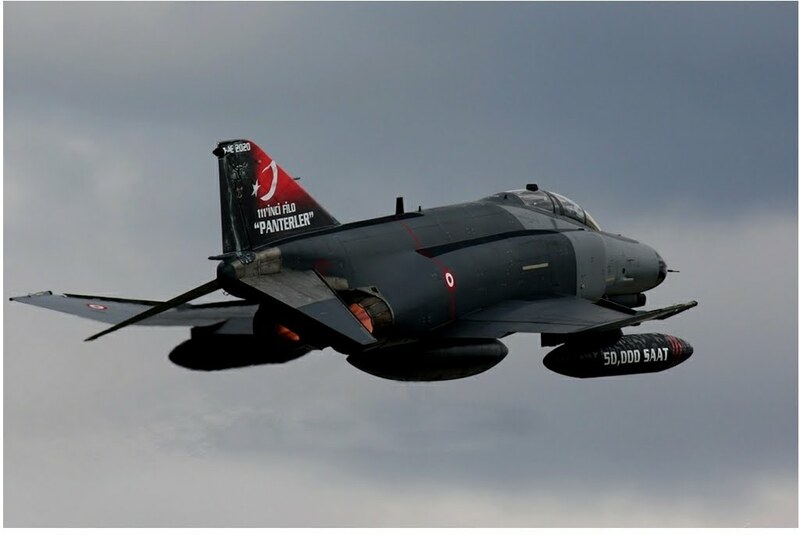 Even if the pictures in this post show aircraft that were safely brought back without any trouble, for sure no aircraft can fly in those configurations. One case in which the wings were forgotten folded occurred in August 1960, when a US Navy F-8 took off from Naples and climbed to 5,000 feet, when its pilot felt an amount of pressure on the stick: immediately, he started to look around to discover why its Crusader was facing the pressure amount and noticed that the wings were still folded. Instantly he started to dump as much fuel as possible, and after 24 minutes of flight he was able to come back to Naples, landing safely. He said that his Crusader faced no serious problems during the unusual kind of flight and the landing had been very fast but uneventful. 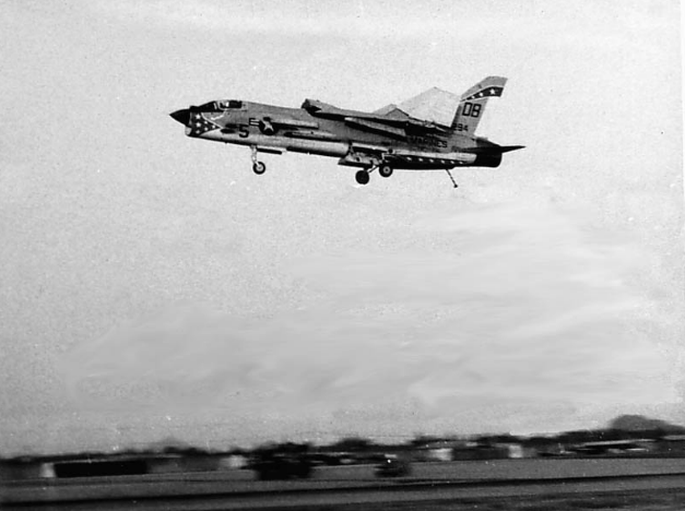 At least seven more times F-8s took off with wings folded, in several occasions at night, but without any mishap, proving Crusader strength and revealing the great job done by Vought engineers. Six years later was the turn of an F-4B (BuNo. 152327) aircrew belonging to VF-14 Tophatters to experience a “wings folded” flight: in fact, on May 10, 1966, LT JG Greg Scwalber and his RIO (Radar Intercept Officer) Bill Wood were launched from USS Roosevelt (CVA-42) and once airborne they discovered that their Phantom II was flying with outboard wings folded. They immediately understood that the locking mechanism was not properly set before launch. They quickly dumped all external stores, dropped the flaps and after declaring an emergency they diverted to the nearest airport that was Navy airfield in Cuba. After 59 miles of flight Scwalber and Wood were able to made a successful arrested landing at a speed of 170-180 knots. As happened with the Crusader the F-4B BuNo 152327 returned into service few days later. At least one Air Force crew had the chance to experience this strange kind of flight with their F-4, but the Rhino revealed to be a very robust airframe and it always brought its aircrew back home even without its wings fully opened. The last impressive picture depicts the third F-14 prototype (BuNo 157982) with its wings swept asymmetrically: with the starboard wing locked fully forward and the port wing swept fully aft. To reduce deck spotting area its wings could be “overswept” to 75°, eliminating the need for the folding mechanism of the wings. However in this photo the wings position is the result of tests undertaken to explore how the Tomcat could return back to the carrier with this asymmetric configuration. Six flights were made between Dec. 19 1985 and Feb. 28, 1986 in this unusual configuration and landings were conducted with the aft-swept wing at up to 60°. These trials were conducted after four fleet aircraft found themselves in this difficult situation.